Some spots in the paint job that were not fully done and were left clear. Chinstrap button fell off as soon as I got it out of the box. Besides the minor things it fits comfortable looks great from a distance. This helmet is awesome! Love the fit and graphics. Fly racing kinetic line is legit. Ride wit da big dogz baby!! Looks sick!Good helmet for a good price. This helmet fits great and looks great. Seems like it will offer great protection in a crash and is comfortable to wear. I ordered it according to the sizing chart and the fitment was good. Helmet was what was expected. 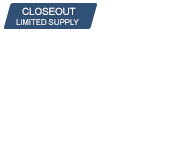 Good helmet at a good price. Beautiful helmet ! I would highly recommend it a friend or family member or anyone for that matter. The color and graphics just pop. My son really likes it. Totally love this helmet ! Would highly recommend to anyone! Sizing was dead on vision excellent!!!!!!! Very comfortable, just covered 7k wearing it. Runs small at least to me. Need to go one size up. What goggles do I need to wear with this helmet I have fly goggles but that don't touch my face at all I had the Rockstar fly helmet ? BEST ANSWER: I am not sure if there is a specific brand you have to wear my rider wore 100% goggles and never had an issue. I wear Scott’s hustle they work great ! Or buy goggles made for glasses with extra foam !!! I run Spy Googles & they work fine with the Fly Kinetic Helmet. Hope this helps. Is this a Men's helmet? BEST ANSWER: Yes. The eye opening on mine seemed narrow compared to by old Bell helmet. My 100% goggles would not fit right up to my face because the narrow eye opening would not allow them too. Good helmet other than that. 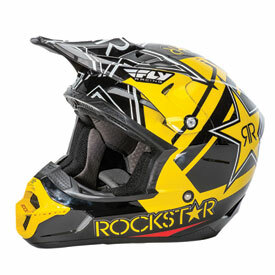 Yes, Men’s MotoX FlyRacing Rockstar energy helmet. Yes, this is adult size. Bought my 14 year old the small, and it fit perfectly. Is the helmet dot rated? Which goggles work best for this helmet. I have a pair of ProGrip 3450 with roll off system the fit between the eye opening but don’t sit on my face properly! ? BEST ANSWER: My son who wears this helmet is wearing Oakley’s but he uses tear offs he said that the goggles sit fine on his face. My son wears 100% Accuri goggles with his adult small helmet, and says they fit good! l wear Scott hustles and they fit and work awesome with the helmet! No issues at all!